This post mainly focuses on laser safety notice, electrical safety, laser cutting machine protective measures, common knowledge should be known by the operators. Safety is important for every operator. This is about life safety. A) Designate safety administrators to determine their terms of reference and conduct safety operation and safety education for laser processing operators. B) Specify the laser safety management area, in the management area of the entrance to set up a warning card, including laser processing machine power, laser type, prohibit outsiders to enter, pay attention to protect the eyes and safety manager name. C) The operator of the laser processing machine must be specially trained to a certain level, and to induct operation under the premise of the safety administrator’s agree. Laser mainly harm the eyes and skin of the human body. , laser irradiation can cause burns to any part of the body. Should avoid any part of the body placed in the light path of the laser equipment, so as not to cause damage caused by misuse. In laser processing, usually using CO2, YAG lasers, different types of lasers can cause different harm to the human body. YAG laser may damage the retina of the eye because the YAG laser wavelength has very high transmittance to human’s eyes, so are more harmful. CO2 laser damage is mainly burned on the cornea of the eye. Both laser exposure may cause eye cataracts and the risk of burns to the skin. Therefore, in the adjustment of the laser, using the appropriate protective measures according to the different types of laser. Laser cutting often uses oxygen, coupled with the sparks splash when cutting, oxygen easily leads to the risk of fire. Therefore, the work area should not exist flammable and explosive materials and have the appropriate preventive facilities. A) Do not touch any switch with wet hands to avoid electric shock. The area of the laser cutting machine equipped with lighting signs means these parts have high electrical voltage or electrical components, the operator close to these parts or open maintenance should be careful to avoid electric shock. Such as the protective cover at servo motor’s position, the junction box behind the column, laser cutting machine’s transformer cabinet, electrical cabinet doors, etc. B) Read the machine manual and electrical schematic in a comprehensive manner so that you can familiarize yourself with the functions and functions of the corresponding keys. C) Do not open the electrical door easily, prohibit unauthorized changes to the set machine parameters, servo parameters and the potentiometer (with the exchange table matching). If you need to change, you must be trained by the equipment manufacturer and approved by the professional staff. Record the parameter values before the change so that the original state can be restored if necessary. D) The general power supply voltage of processing laser cutter is several thousand volts to tens of thousands of volts, should prevent the laser high voltage and X-ray generated by the electron tube under high voltage. E) Do not touch the live parts of the electrical cabinet in the energized state, such as numerical control device, servo device, transformer, fan and so on. After the power failure, you must wait for more than 5 minutes and then touch the terminal. Because after the power failure in a period of time, there is a high voltage between the power line terminal. To avoid electric shock please do not touch immediately!! Designate a safety administrator, determine its terms of reference, and conduct the safe operation and safety education for laser processing operators. Specify the laser safety management area, in the management area of the entrance to set up a warning card, including laser processing machine power, laser type, prohibit outsiders to enter, pay attention to protect the eyes and safety manager name. When the laser processing machine not in use, should pull out the key switch, by hand custody, so as to avoid harm caused by misuse. Smoke and gas and laser working gas produced in the process of fabricating should be discharged outdoor through the exhaust pipe, all cylinders should be placed neatly, solid. 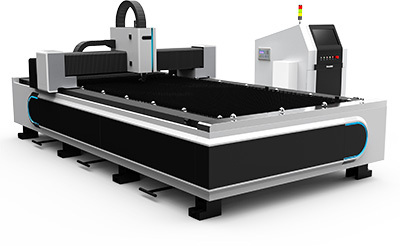 Laser cutting machine operators must be specially trained to reach a certain level and to induct operation under the security administrator’s agreed. The operator of the laser cutting machine or the person close to the laser during the use of laser cutter, should wear appropriate laser goggles and wear protective clothing, in the area of wearing protective goggles, must have good indoor lighting to ensure the smooth operation of the operator. In order to protect the operator, must have a processing room or protective screen. There should be safety devices to prevent the diffuser of the laser and protect the safety of the operators. When the door of the processing room opened, should close the laser shutter.